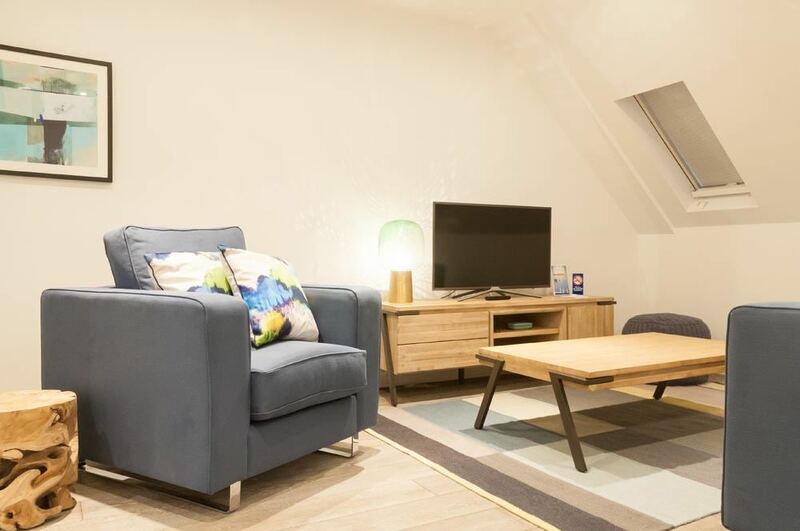 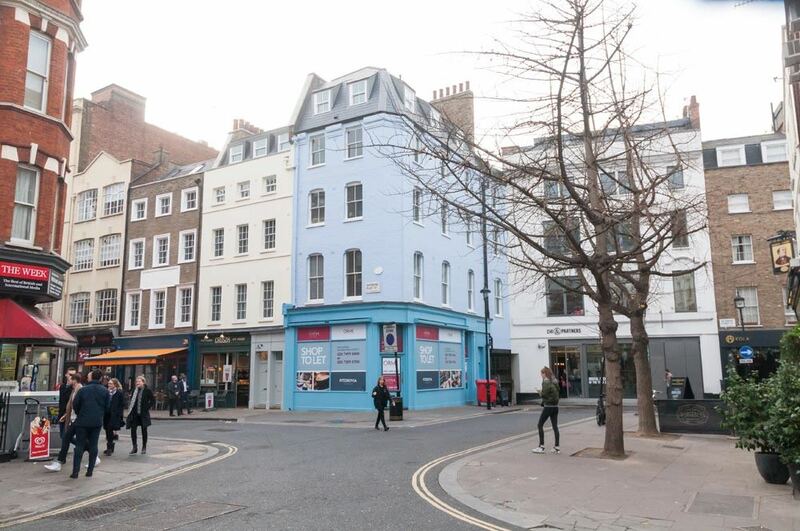 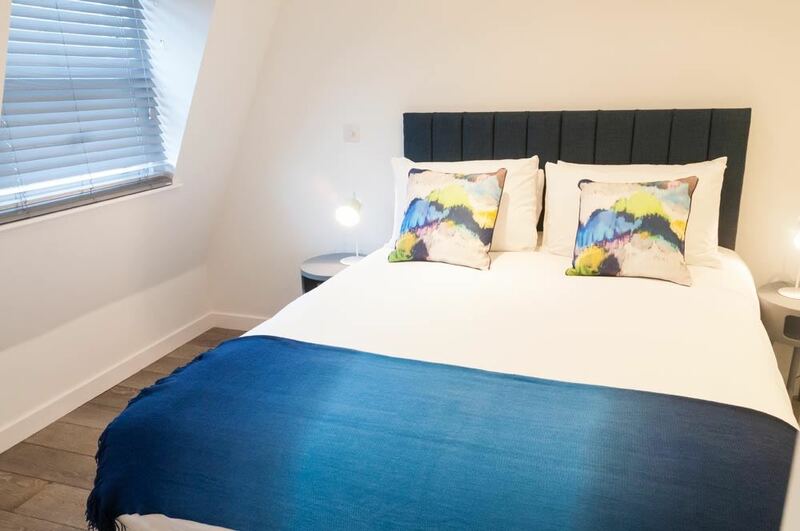 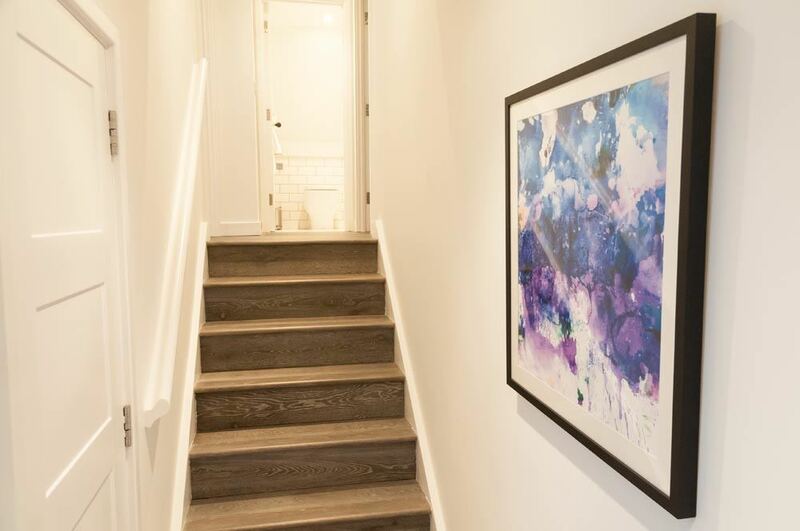 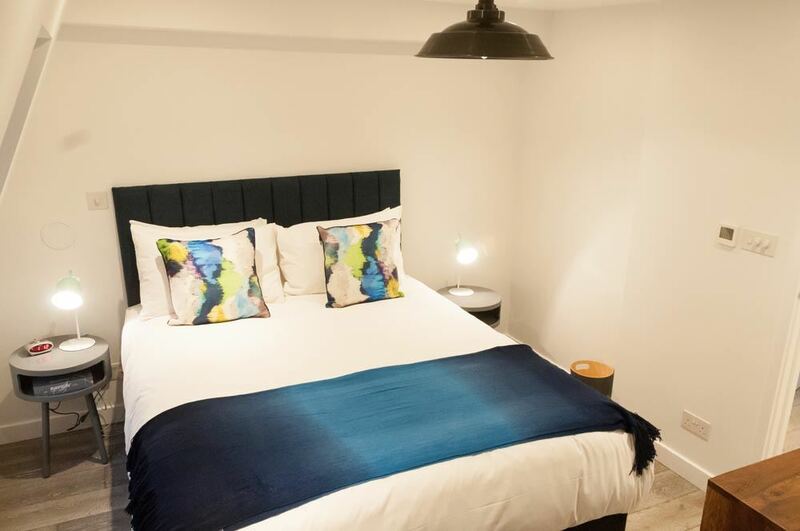 Rathbone Street Apartments are set in the heart of London minutes from the sea..
Rathbone Street Apartments are set in the heart of London minutes from the sea of department stores and retail outlets on the world-famous Oxford Street. 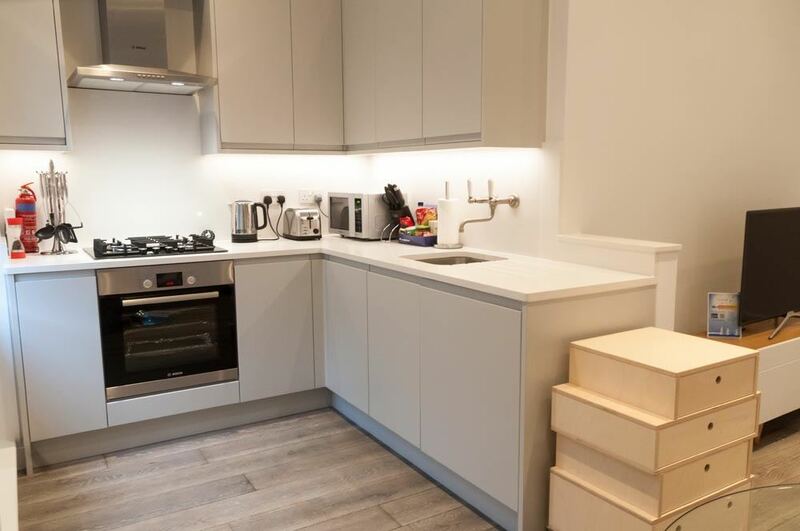 Tottenham Court Road is steps away and with many shops and convenience stores including M&S and Sainsbury supermarkets. 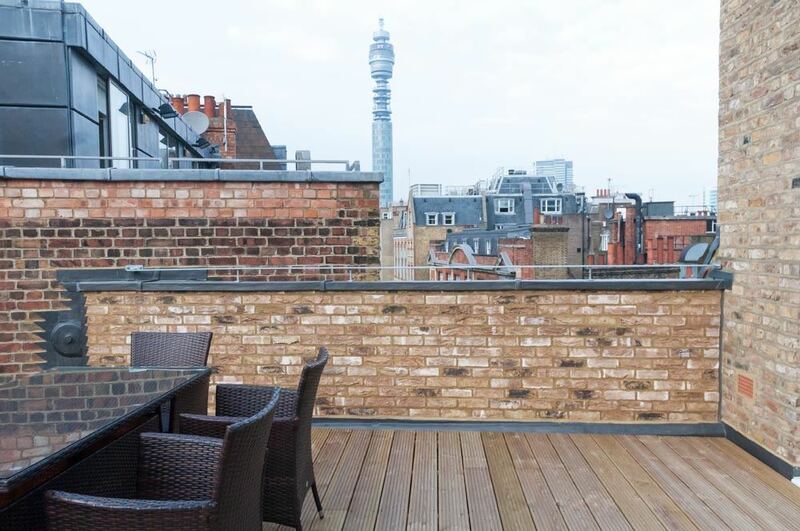 From here you are literally within easy reach of the best of the West End from Covent Garden's musical shows to Trafalgar Square's events, art at the National Gallery, designer boutiques of Bond Street and the unique nightclubs and entertainment of Soho. 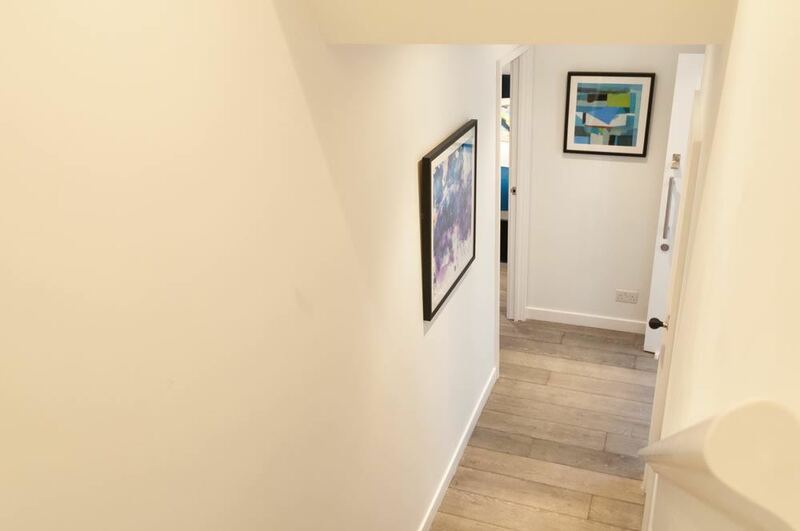 Transport links are excellent and operate to every corner of the city via bus and underground. 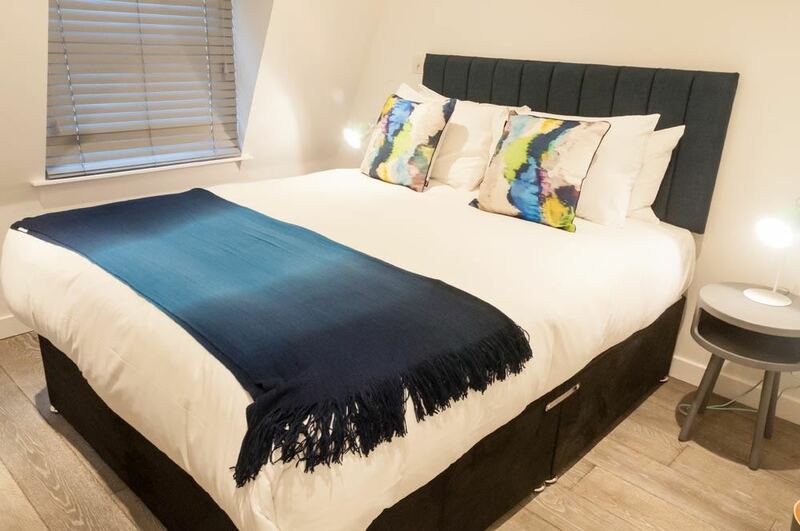 Camden Market is also not too far where you can enjoy a taste of alternative fashion, a bustling market and canalside eateries. 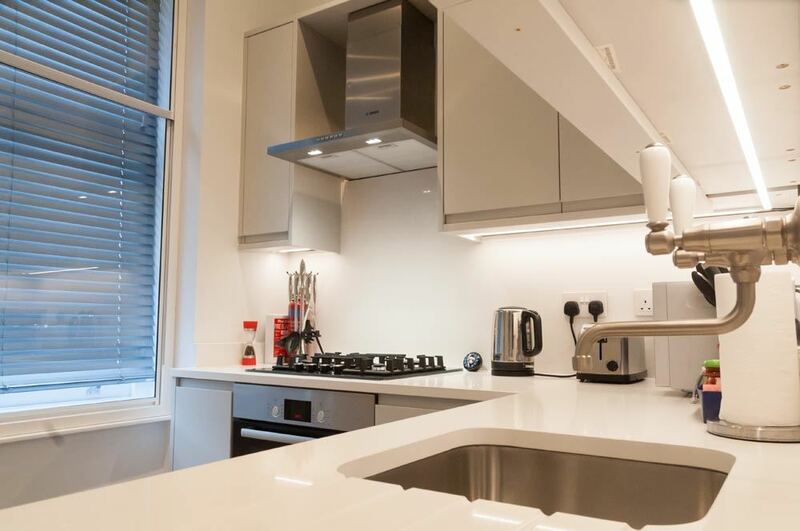 The British Museum is also easily walkable from here and is one of London's most visited attractions. 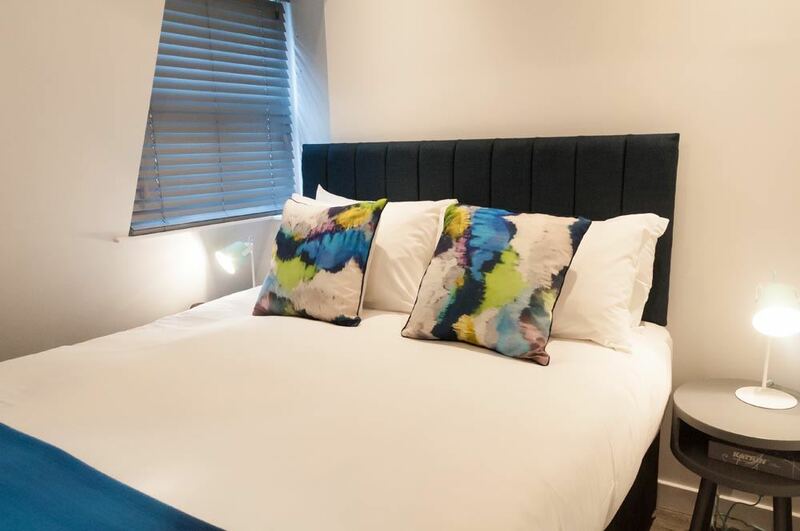 There is a really great mix of restaurants just around the corner and around Charlotte Street including some very exclusive fine dining establishments like Hakkasan. 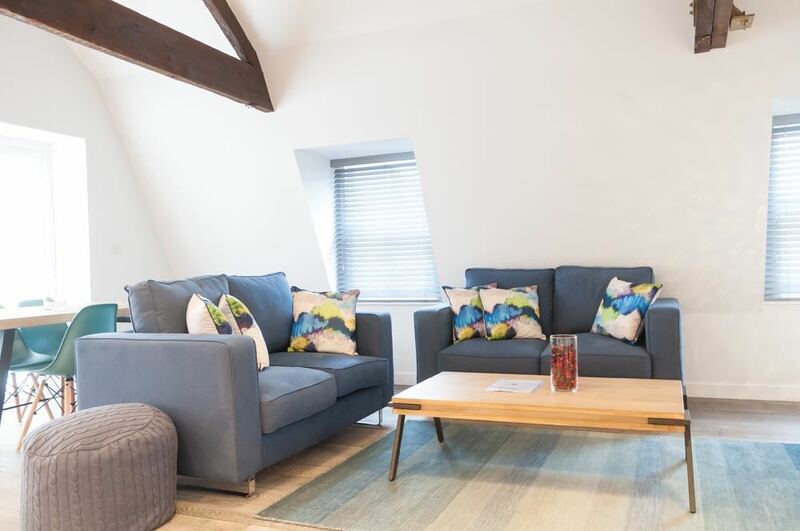 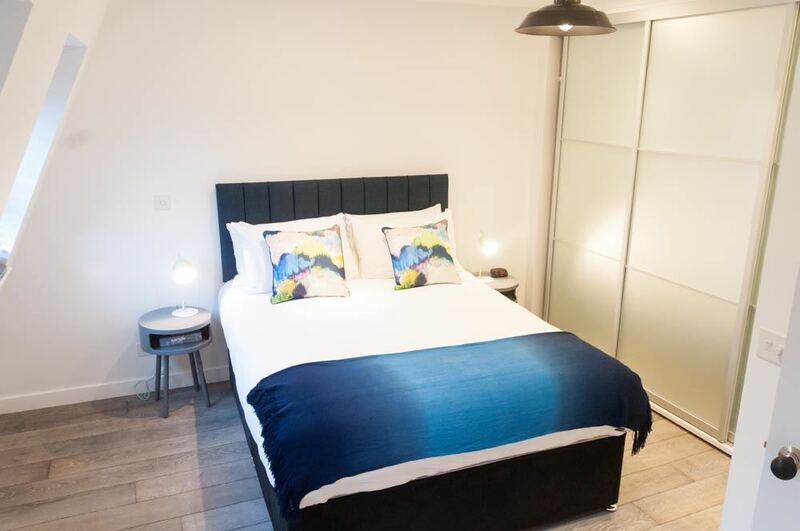 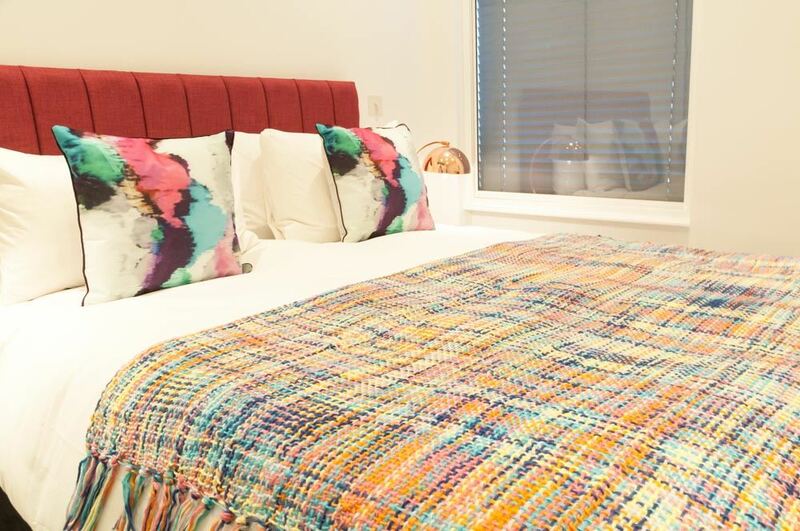 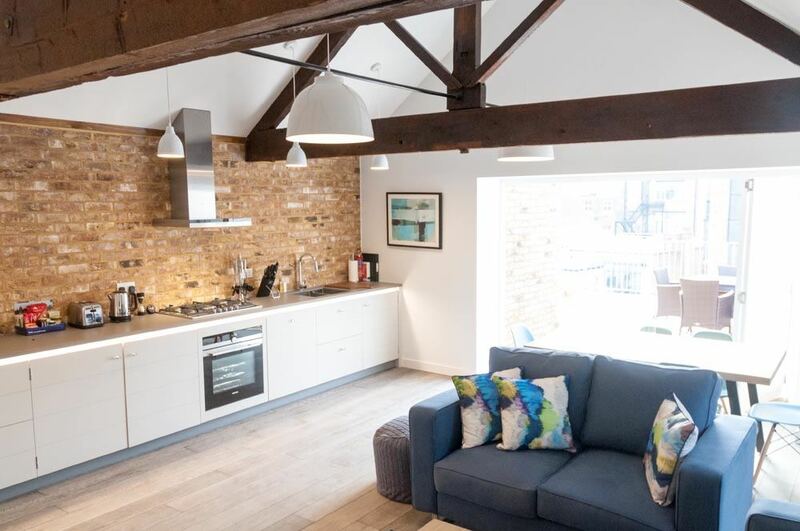 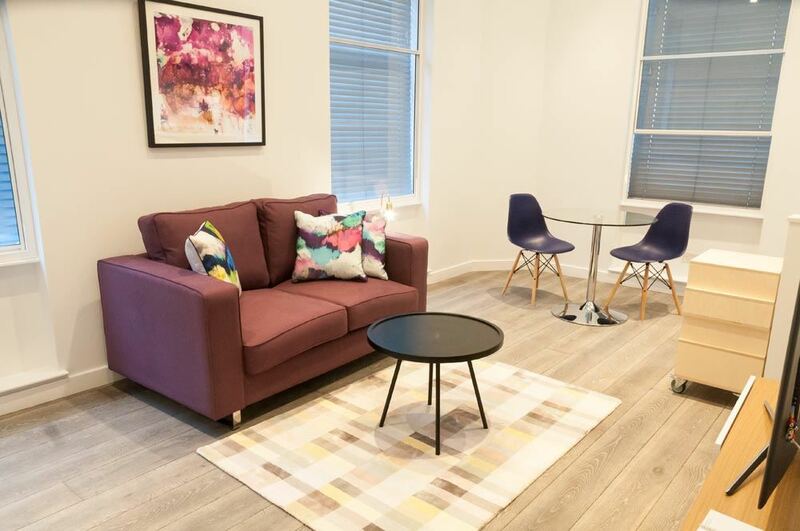 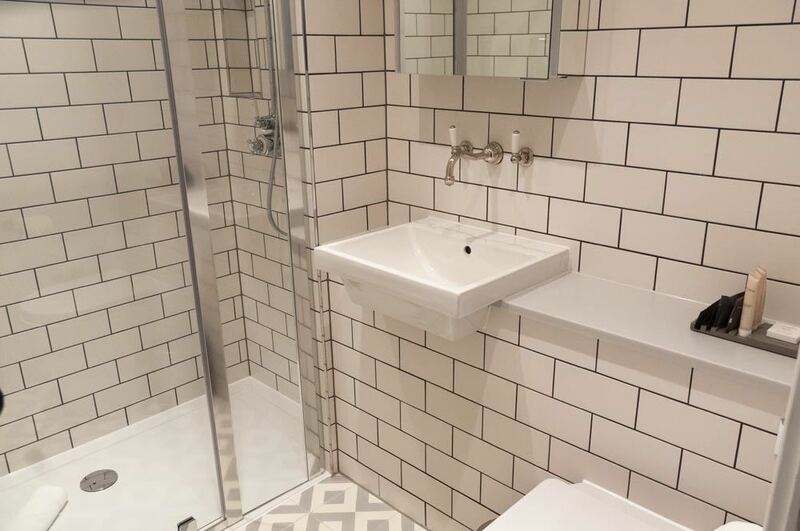 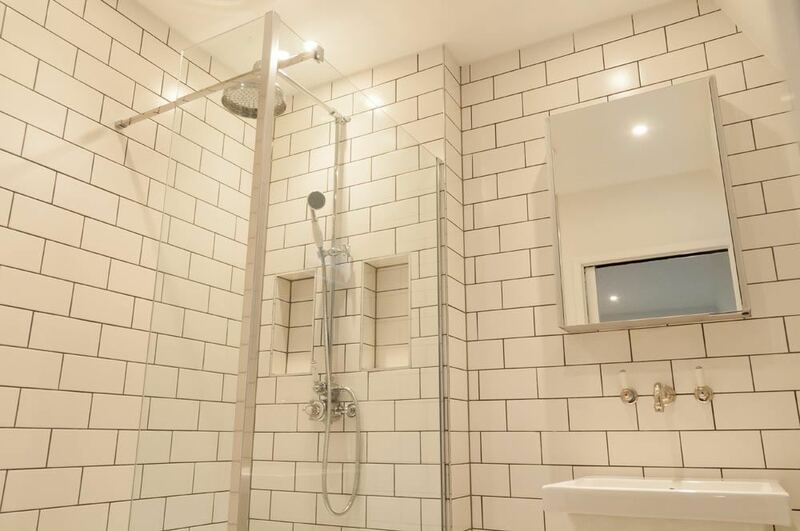 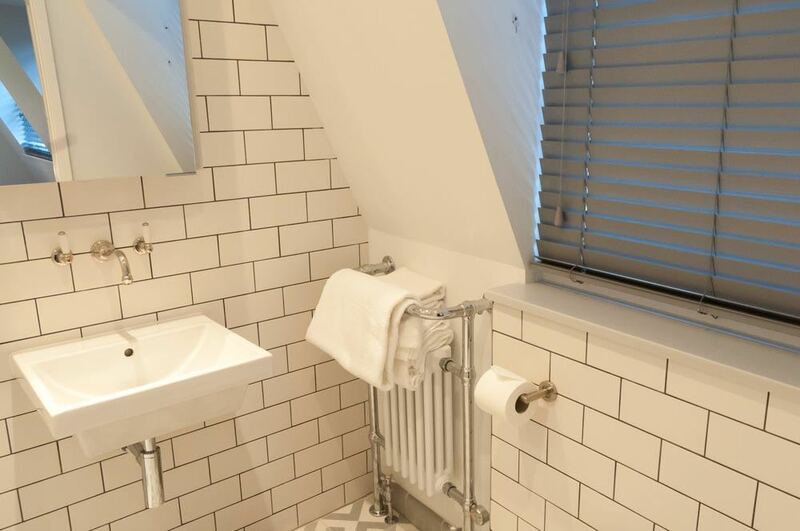 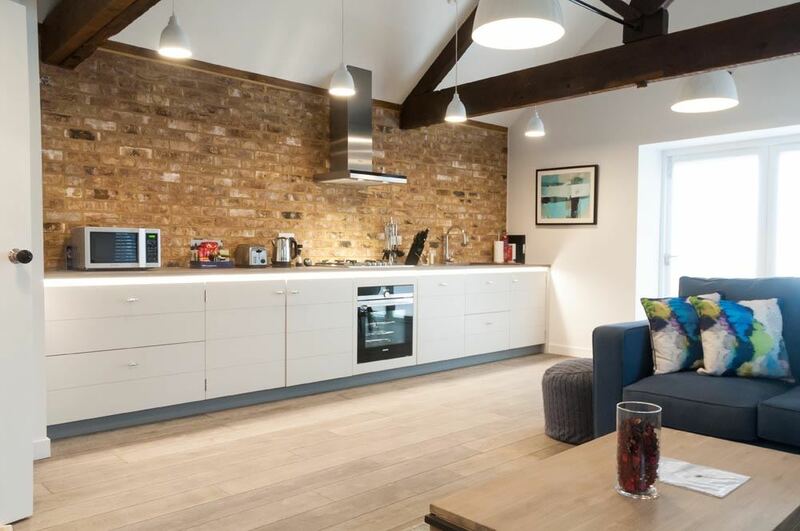 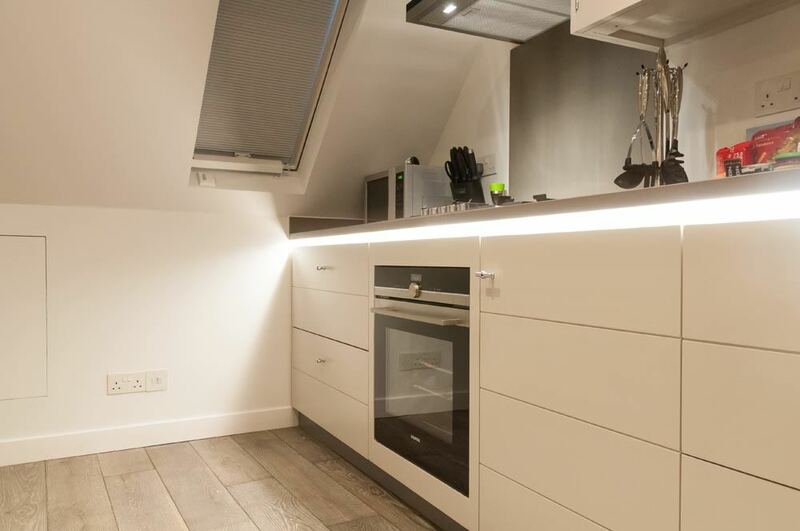 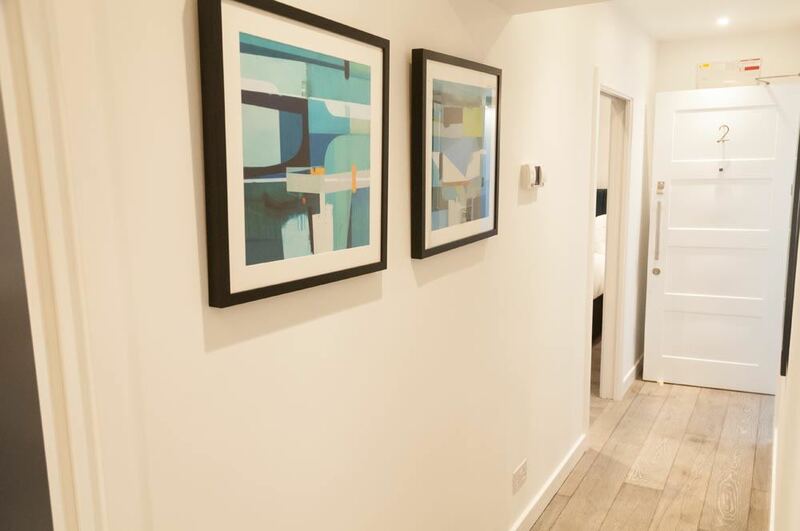 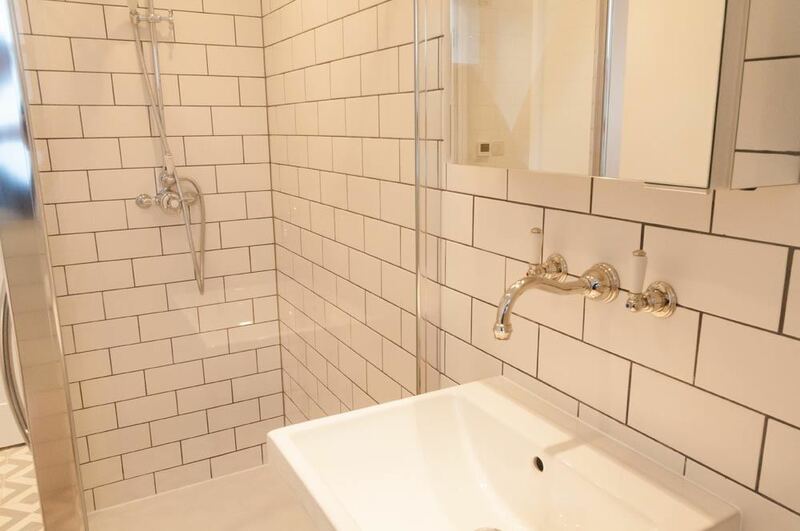 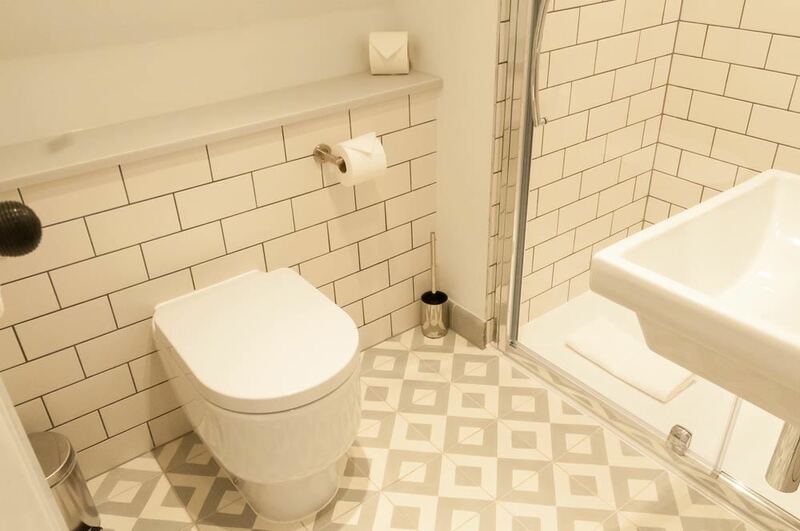 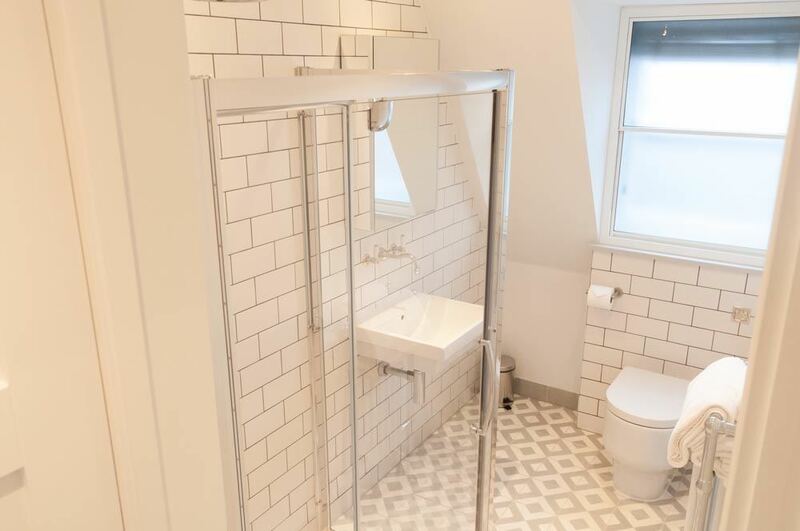 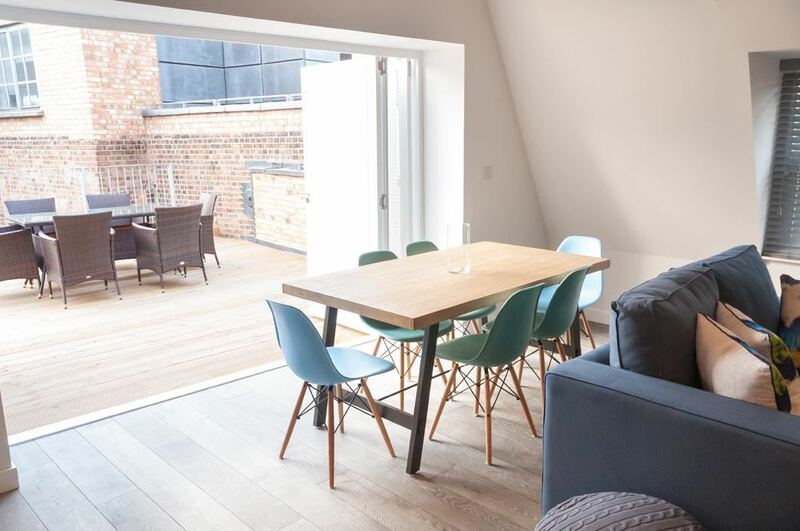 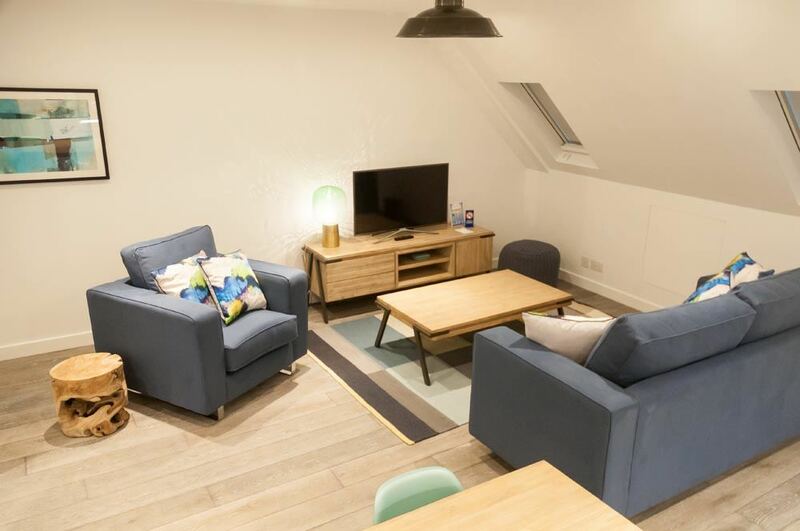 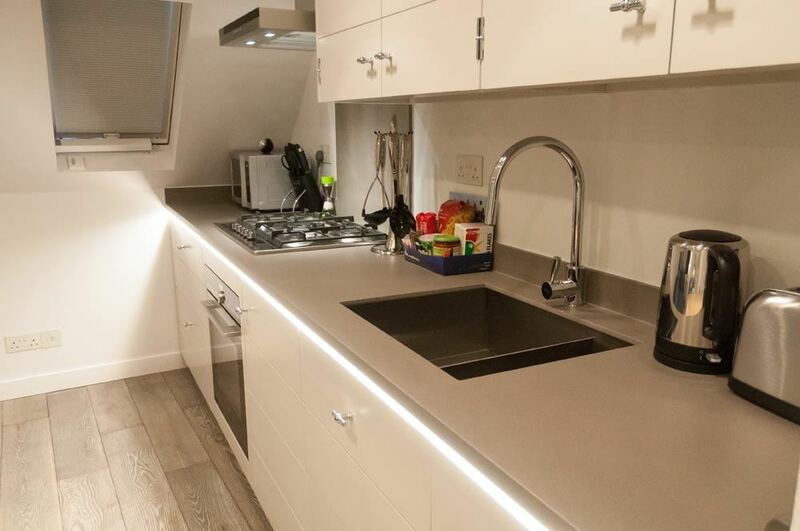 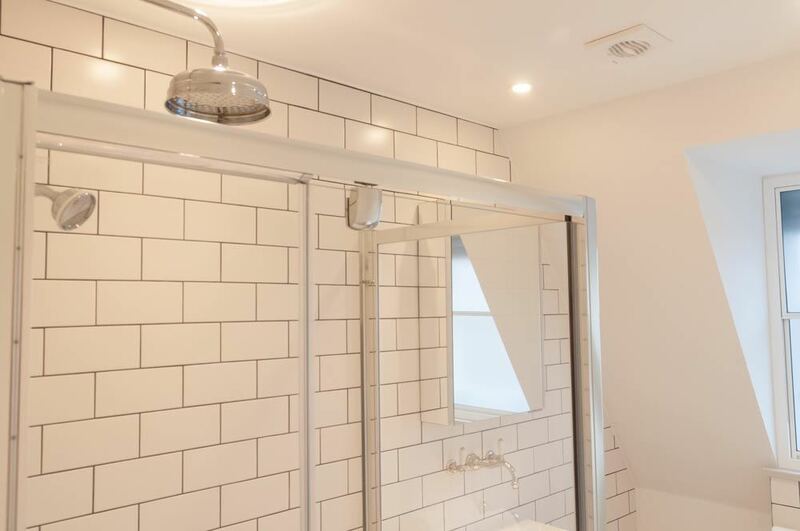 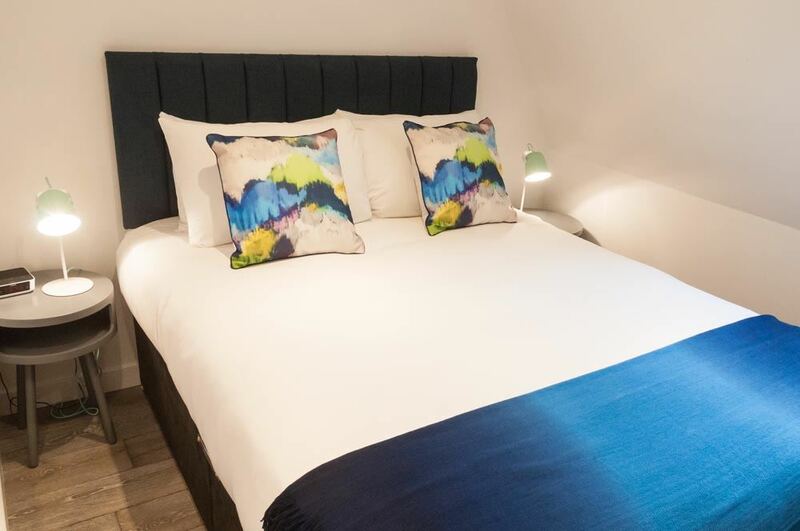 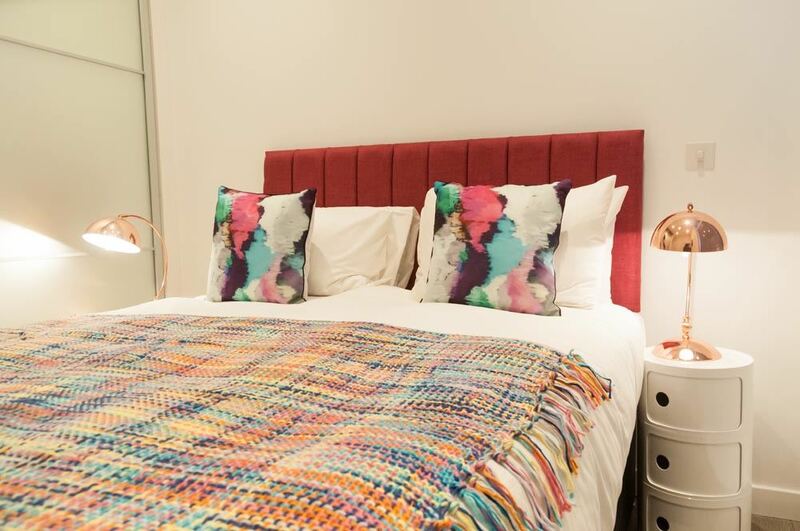 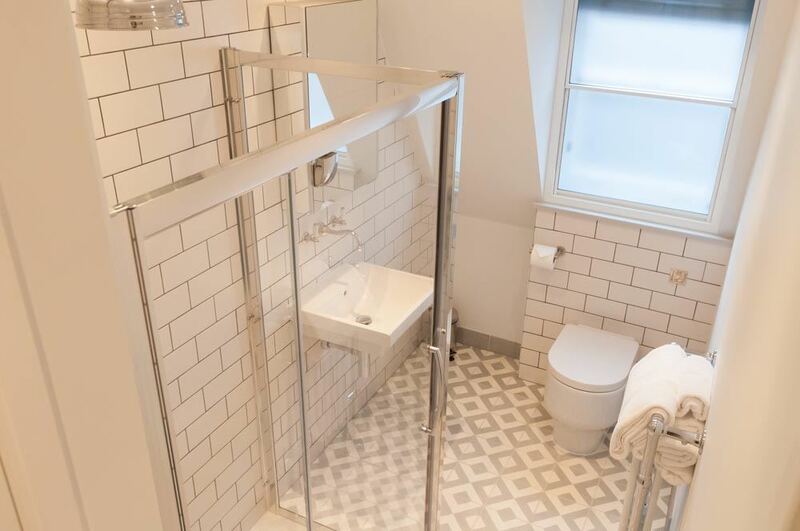 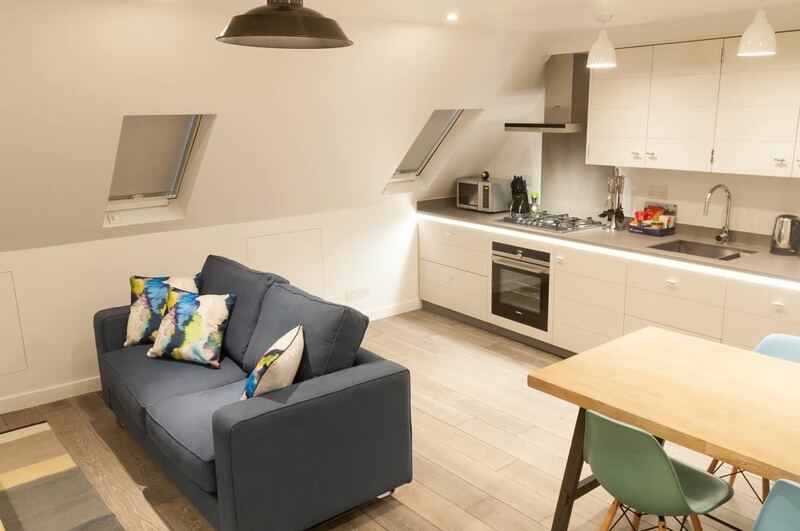 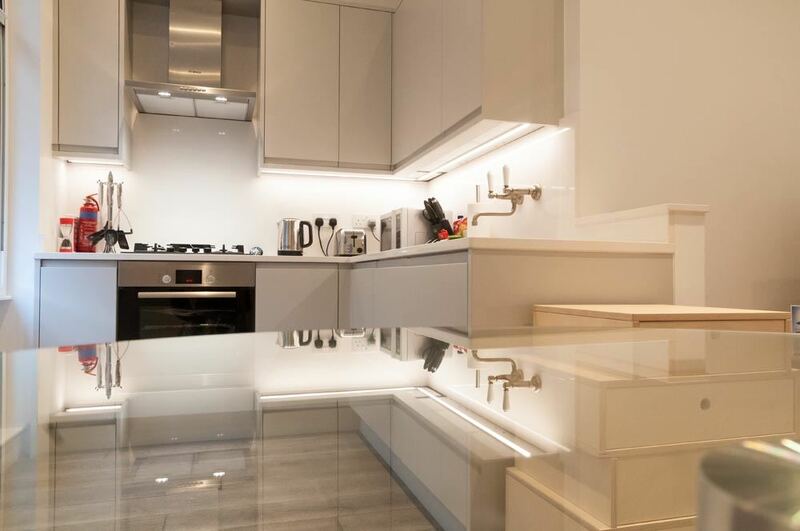 Rathbone Street Apartments are presented with bright and stylish interiors, perfectly blending period features with contemporary mod-cons that deliver more space and value for money than hotel accommodation in the area. 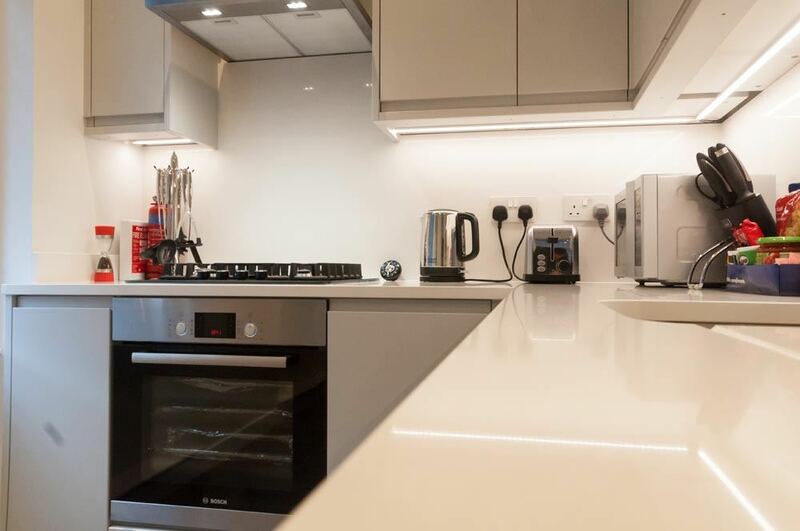 Open plan kitchens have been fitted with all the integrated appliances you could need including washer dryers and bedrooms offer a peaceful retreat to refresh yourself after a busy day about town. 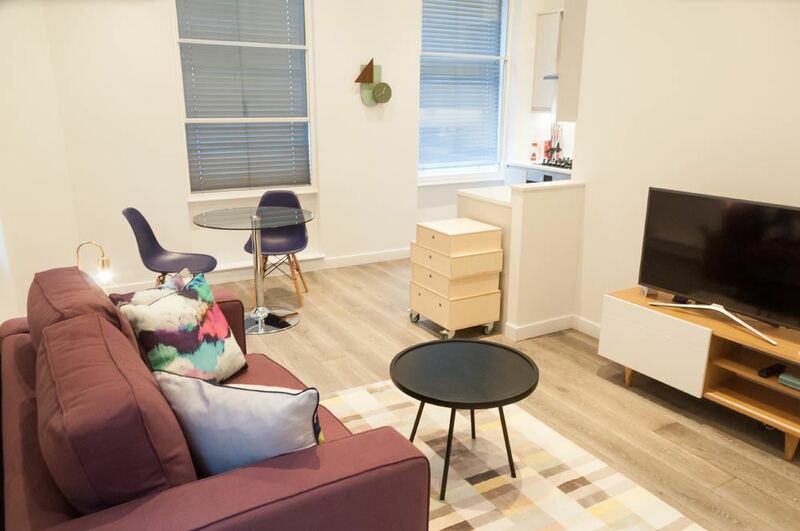 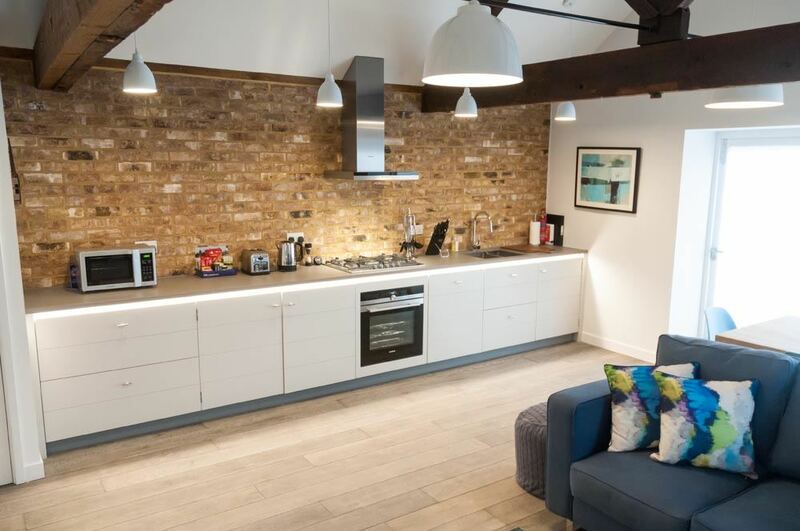 Live like a Londoner in these Central London serviced apartments and enjoy the convenience of weekly maid service and fast wireless internet. 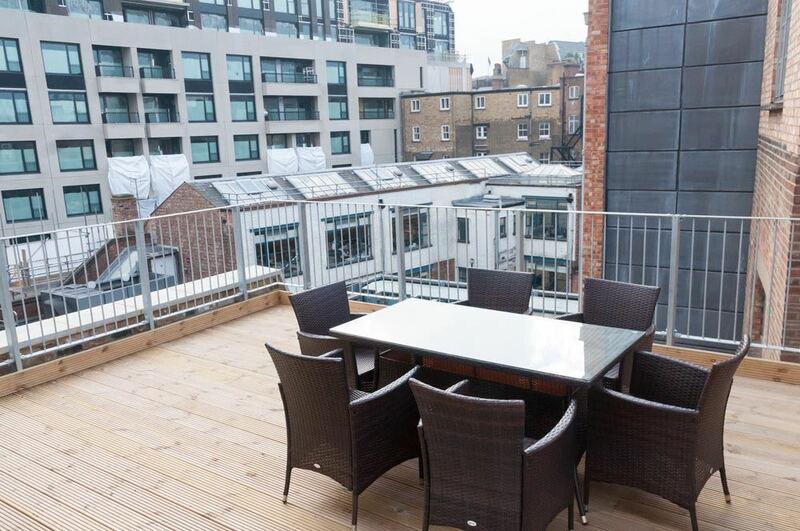 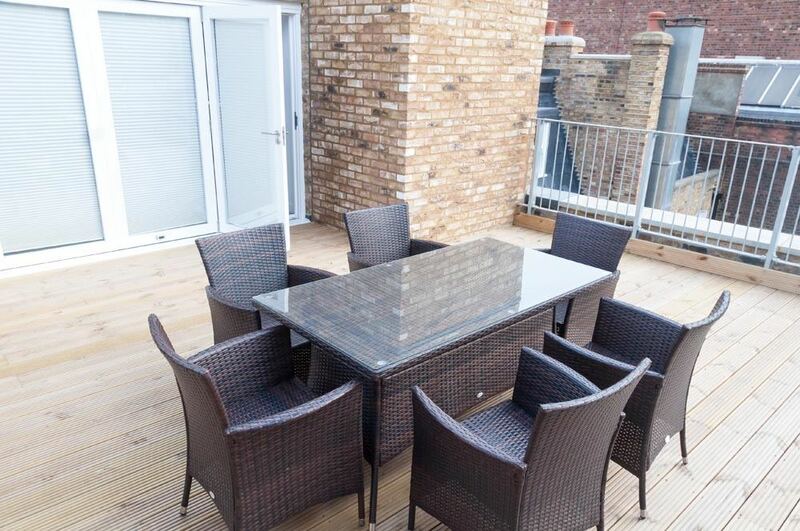 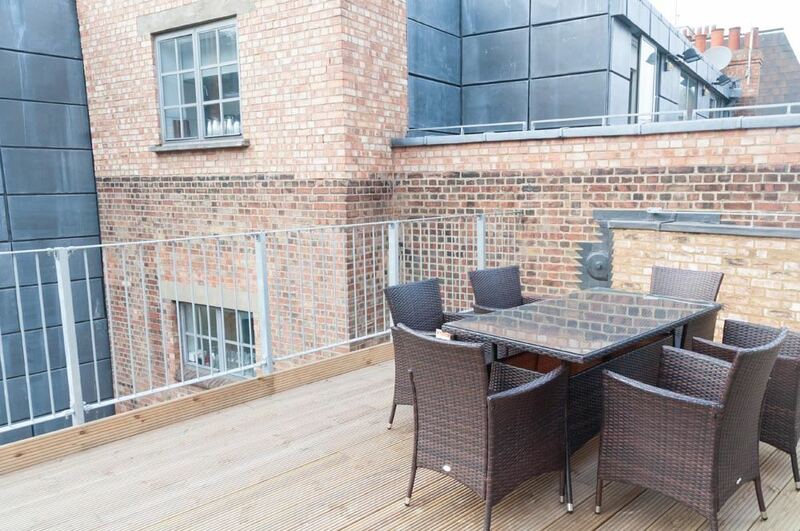 The top floor two bedroom apartment also features a fantastic private terrace with superb views across the city. 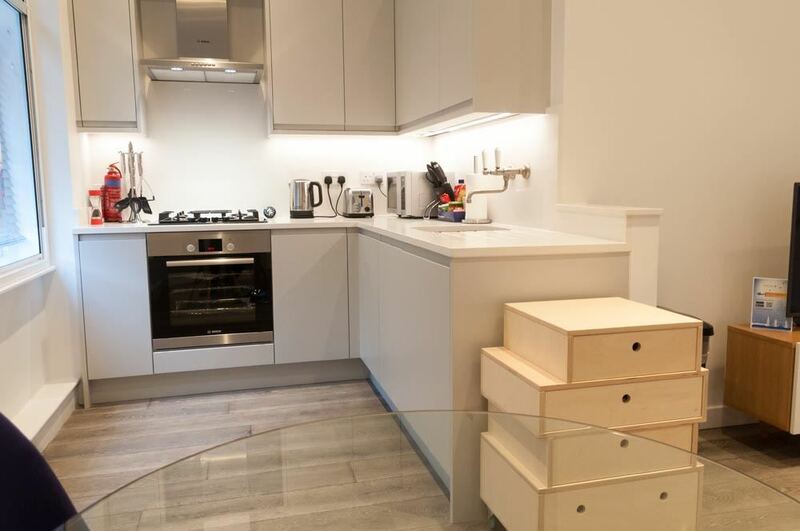 Please note there are no lifts in this building. 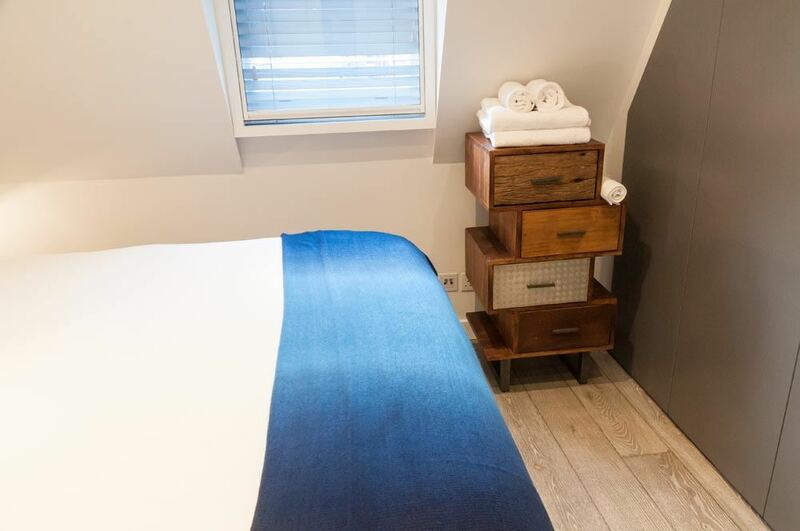 Sleeps two but can accommodate an extra third person on a foldaway bed (extra charge). 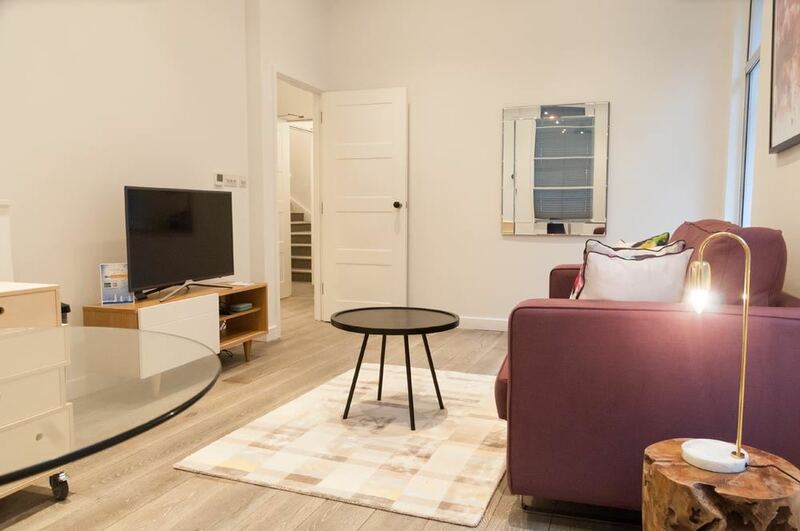 This apartment has one separate bedroom with a queen size bed, one bathroom, a fully equipped kitchen and a spacious living and dining area. 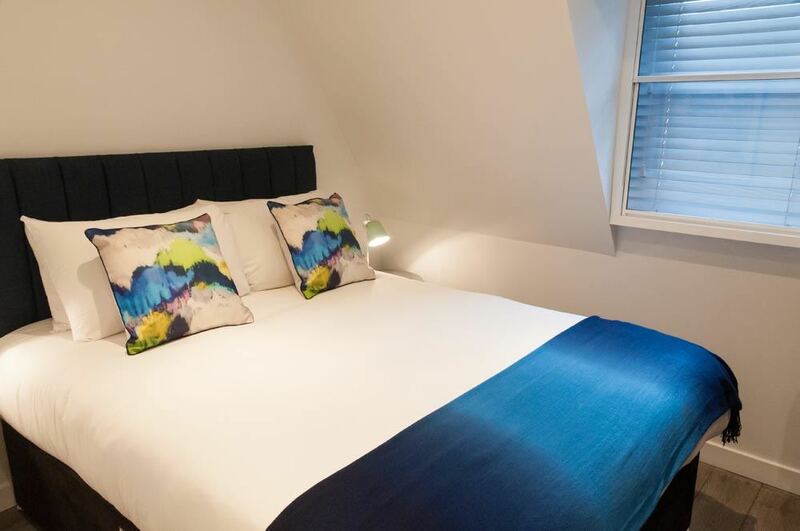 Sleeps four but can accommodate an extra fifth person on a foldaway bed (extra charge). 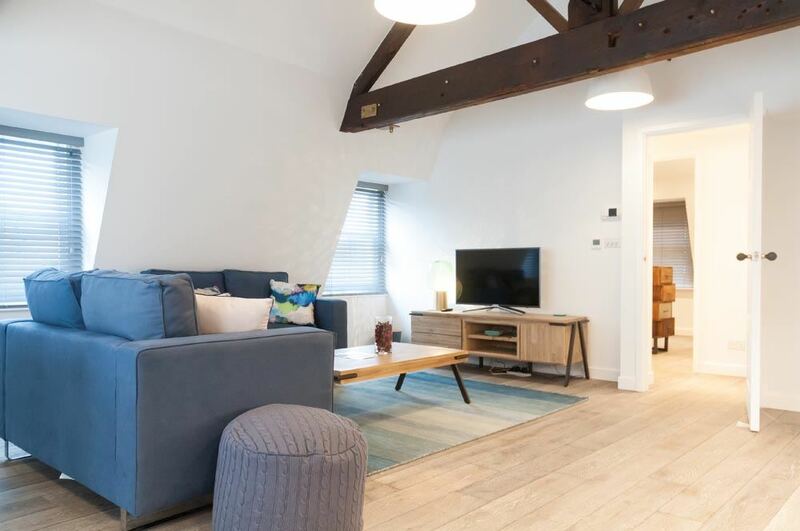 This apartment has two separate bedrooms with queen size beds (twin beds on request), one bathroom, a fully equipped kitchen and a spacious living and dining area. 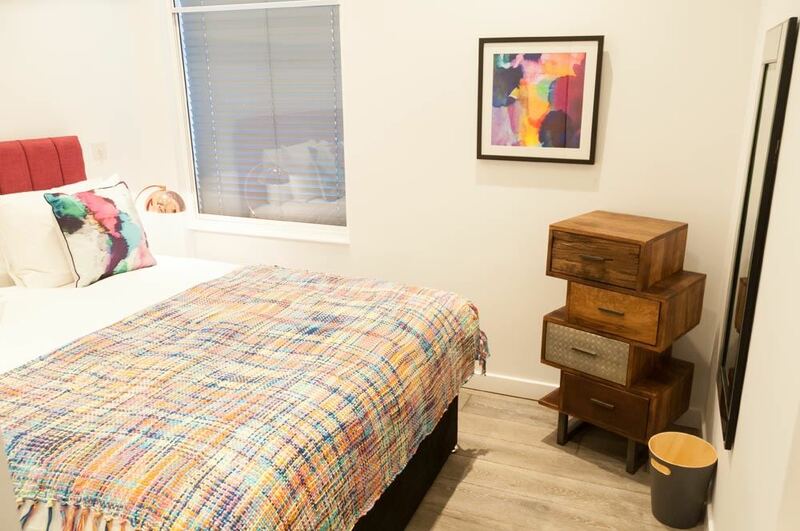 Sleeps four but can accommodate an extra fifth person on a foldaway bed (extra charge). 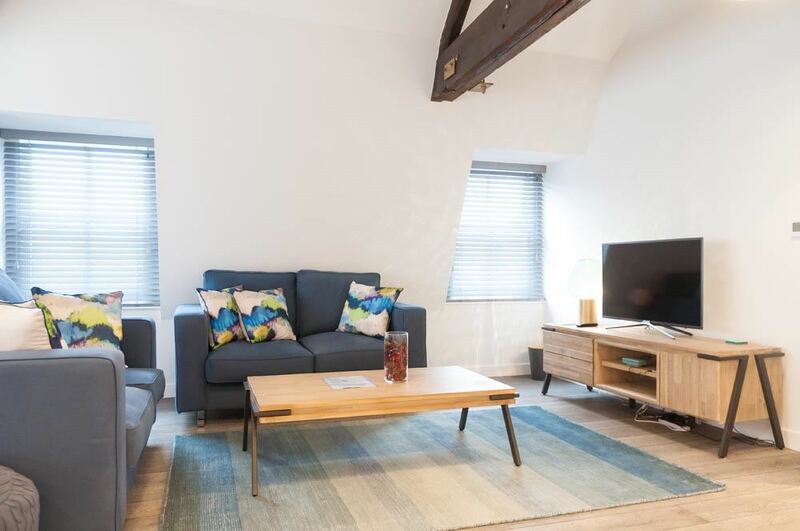 This apartment has two separate bedrooms with queen size beds (twin beds on request), two bathrooms, a fully equipped kitchen and a spacious living and dining area. 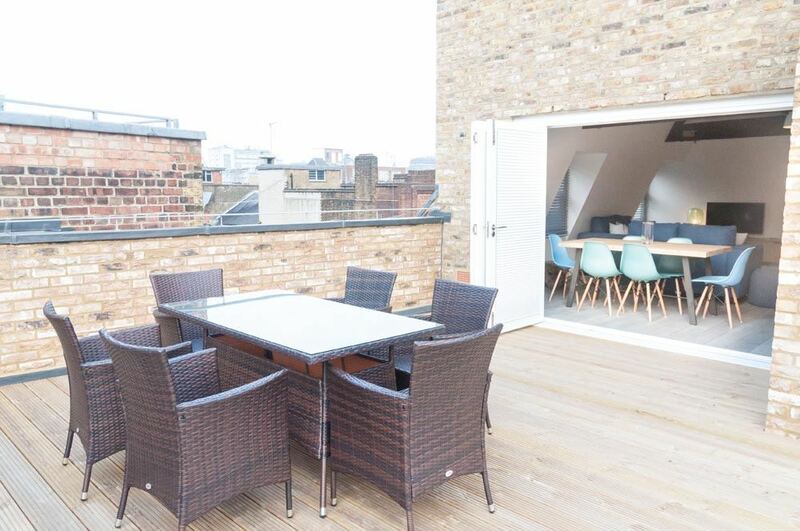 I would recommend these apartments to anyone wanting a spot close to our office. 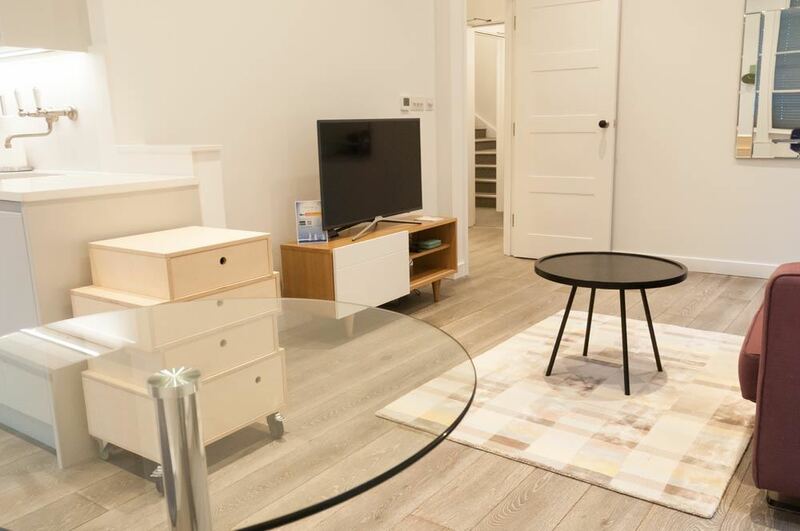 The features in the apartment, radiant heat, high end appliances, and size of the closet. 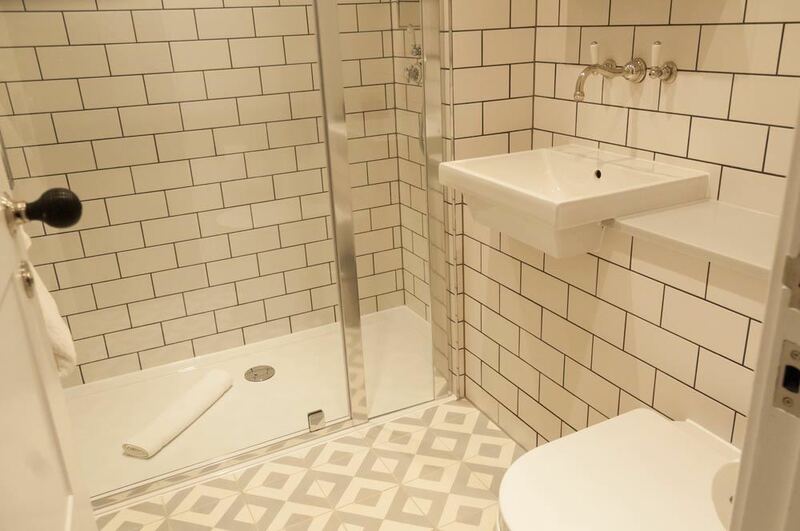 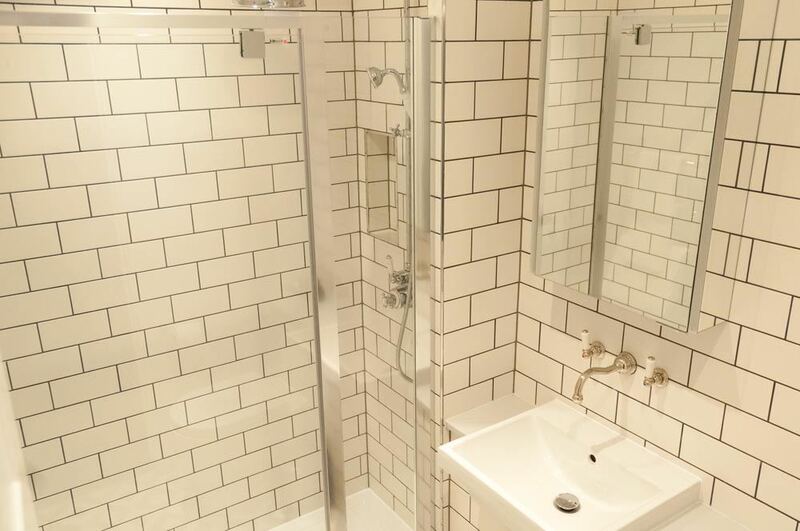 It appears to have been recently renovated with a nice bathroom with one of the largest showers I have ever had in any place I have stayed in London. 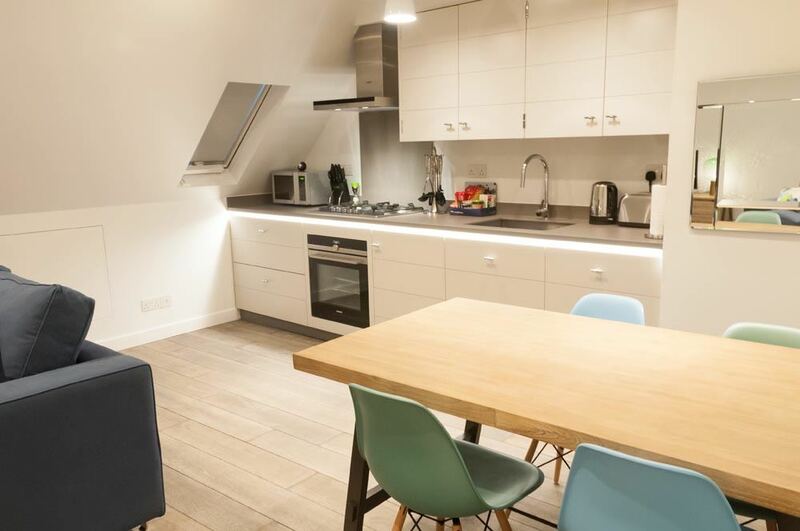 There were 2 downsides to this apartment which was being on the 2nd to top floor with no lift which was only really problematic when arriving and leaving with large suitcases for a month stay. 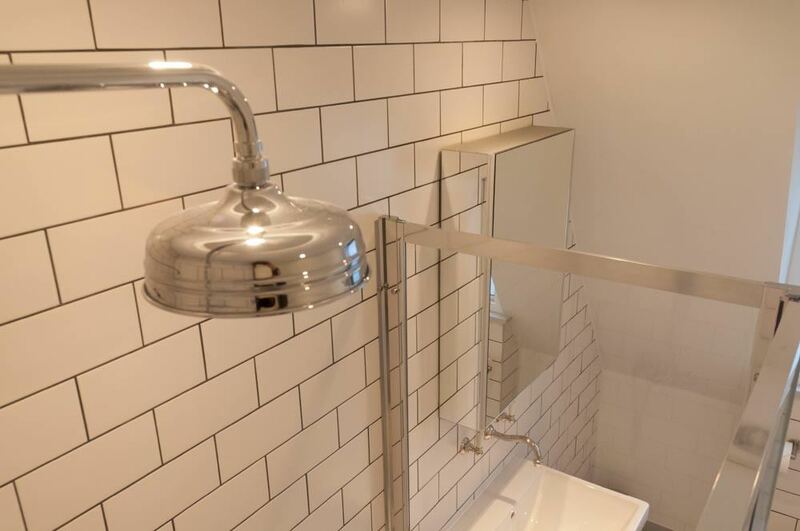 The other downside was the noise, but good earplugs took care of that easily. 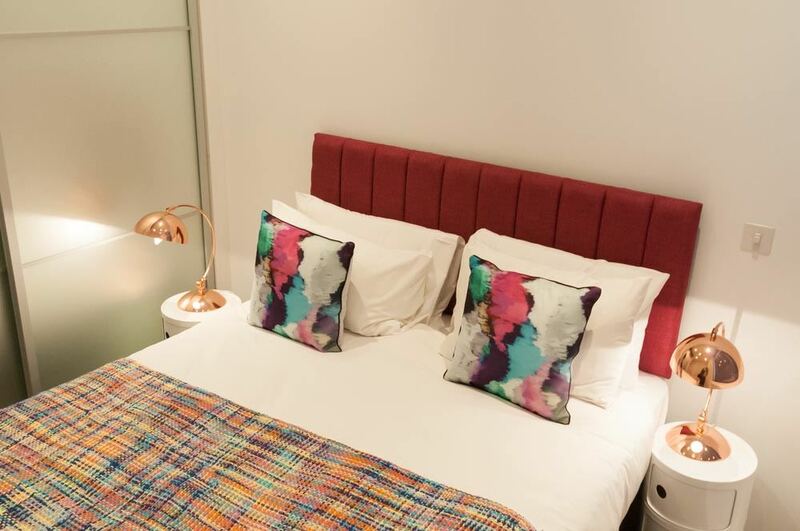 Would you recommend Check-in-London to others? 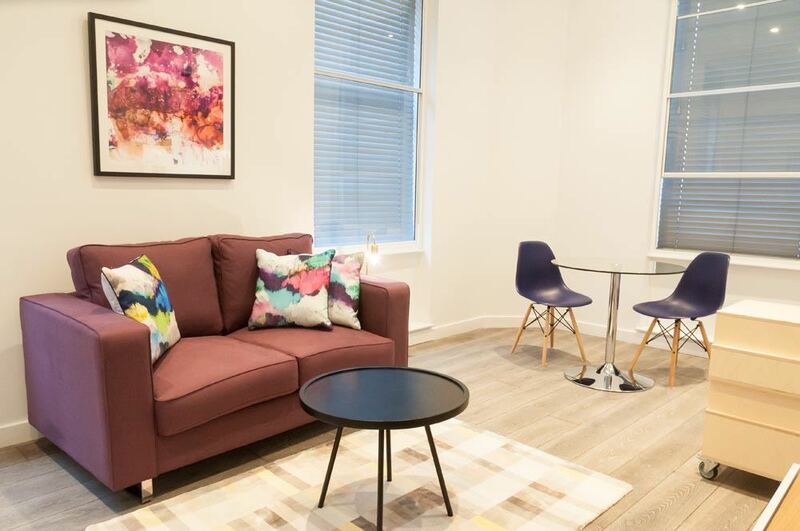 :	Yes Any comments about our service...	:	Your service is great, and I have referred Check-in-London to colleagues traveling to London for extended periods.